Libertyville has done a wonderful job of maintaining a downtown main street (Milwaukee Avenue) that reflects the past, but some buildings, on Milwaukee Avenue and elsewhere, have fallen into disrepair and been demolished. This is the first in a series of posts that will tell the stories of some of the buildings of Lost Libertyville. The most recent loss to Libertyville was the demolition of “the Brainerd Building,” which was built as a high school in 1916. 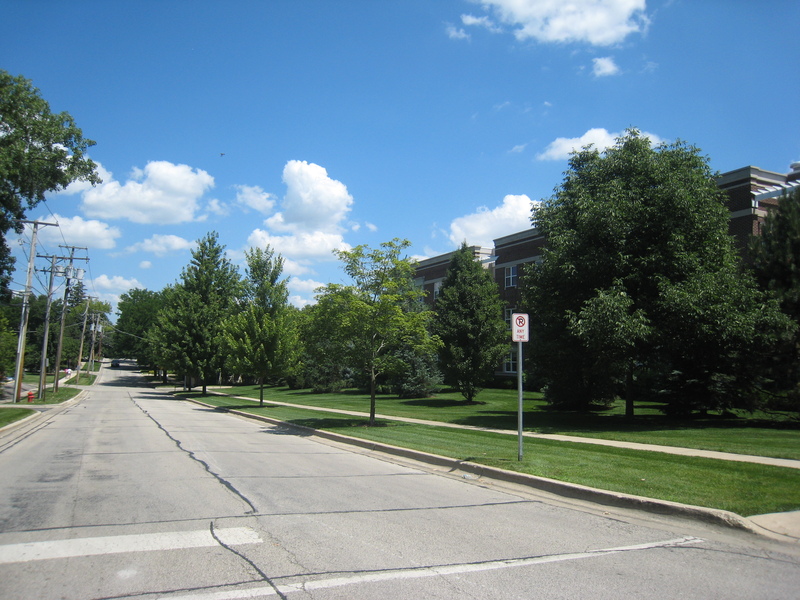 It served as the high school for Libertyville and Mundelein townships until the Butler Lake building was constructed in 1953 (and Mundelein High School in 1960). The Brainerd building was pressed into service for freshman classes when the student population at the Butler Lake building reached a critical mass around 1964. A second high school building in Vernon Hills built in 1999 relieved the overcrowding, and that was the last year the Brainerd Building was used as an academic building. Brainerd gradually fell into disrepair despite efforts to save it. In 2015 the school board chose to have the building taken down and the property is expected to be used for athletic practices in the future. 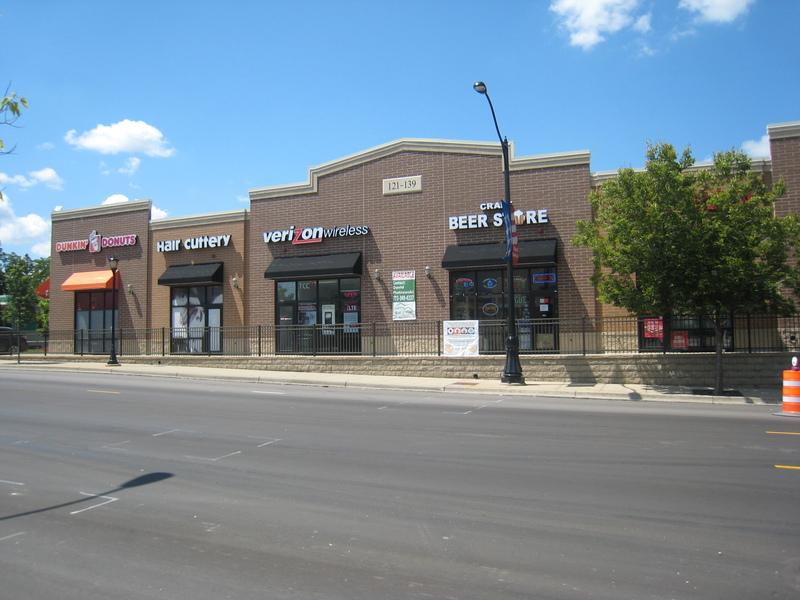 121 – 139 North Milwaukee Ave. 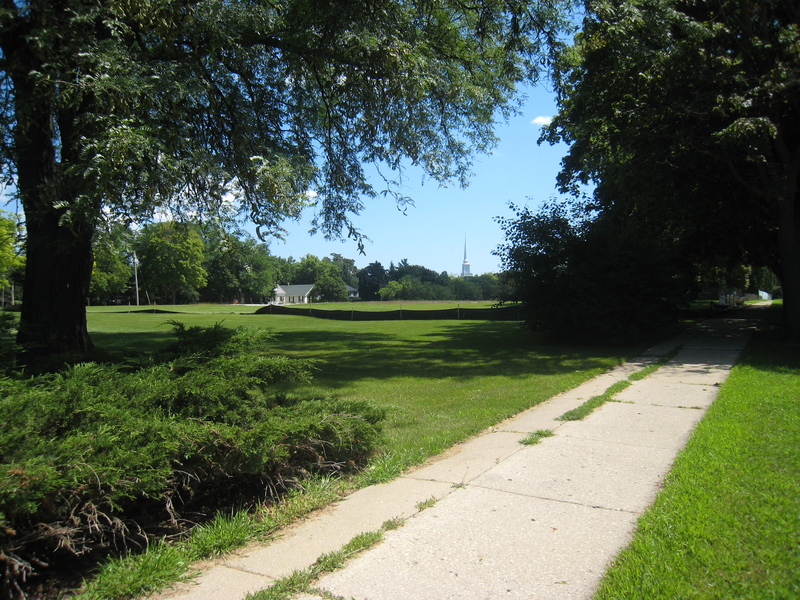 The Libertyville Recreation Center, operated by Al and Tony Cavalier, used to be near the northwest corner of Milwaukee and Rt. 176. Some may remember it as the later home of the service center for the Dodge dealership in town. 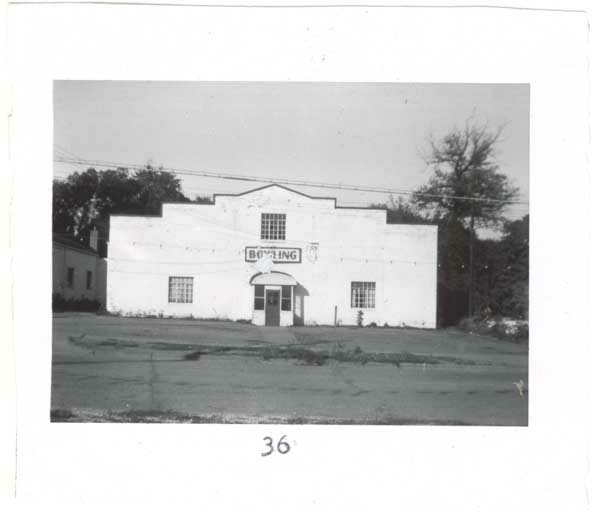 As the “Rec Center,” the building housed a bowling alley which catered to the popularity of the sport in the 1950s. The building was demolished in 2009 and a retail center with restaurants and service stores stands in its place today. 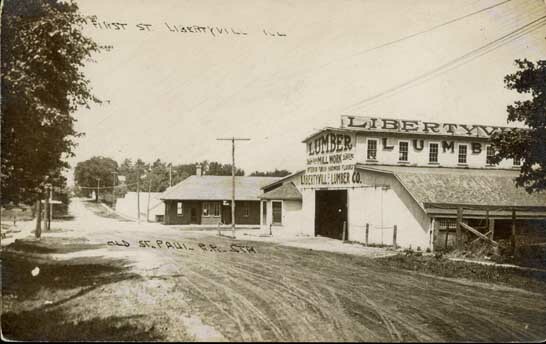 The Libertyville Lumber Company used to be at the hub of a bustling railroad yard just off of First Street. The company was established in 1903 and provided lumber and other wood products for a fast-growing town. A railroad spur off of the Chicago, Milwaukee, and St. Paul Railroad in Lake Bluff ended at the lumberyard’s warehouse insuring direct delivery of lumber goods. The rail yard delivered other goods as well. In 2004 the buildings on the site were demolished and a brick condominium development, Heritage Place, was built. Though the bricks-and-mortar structures are gone today, they are not lost to us forever. Thanks to the Libertyville-Mundelein Historical Society we have photos to preserve the memories of these and other buildings. 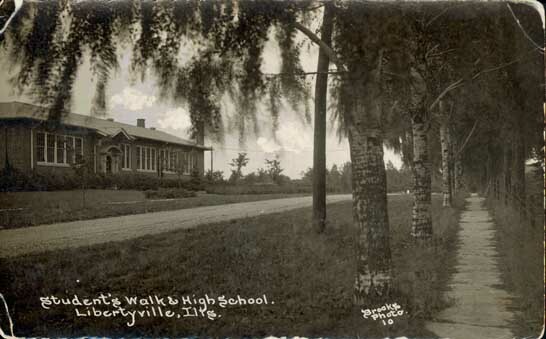 Additional photos and post card images can be found in the Libertyville History section of the Illinois Digital Archives website. August 1, 2015 in The Past Is Present.